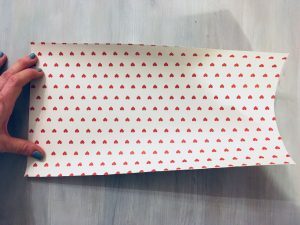 This is my post on how to make crackers for Valentine’s Day. The video was taken from a Facebook live chat so you need to be logged into Facebook to view it. I’m a bit gutted if I’m honest as I thought I’d invented this idea myself! I wanted to do something a bit different to the normal ‘creating the right ambiance at home for Valentine’s Day’ type post. 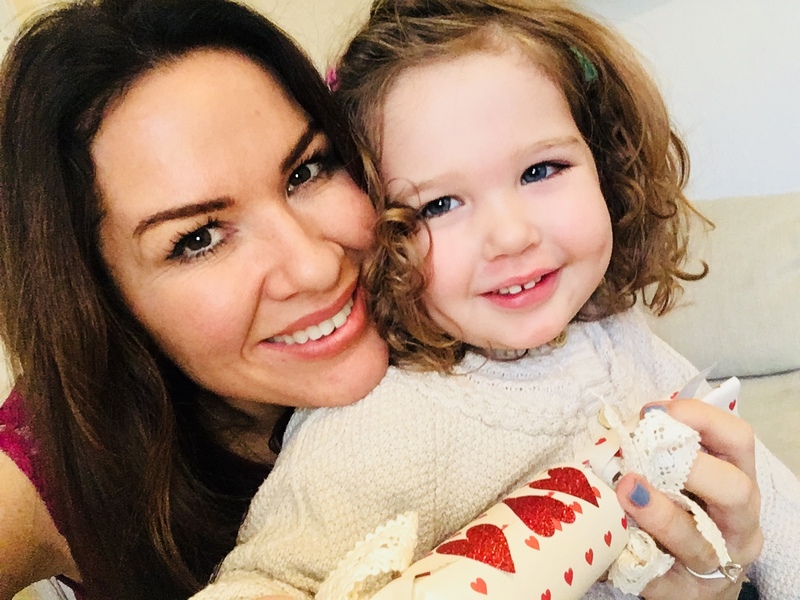 My toddler Bonnie and I pull imaginary crackers all the time because she loved them so much at Christmas, which made me think how lovely it would be to make one for this romantic celebration. As soon as I’d set about collecting all the bits for this I started to see ruddy Valentine crackers everywhere – and I mean EVERYWHERE! Anyway, I think making your own shows a lot more thought and you can make the surprise inside even more personal. So there! 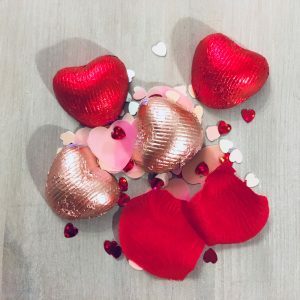 If you hate the idea of Valentine’s Day or you have no one to pull it with then maybe bear this in mind for another occasion like a birthday or Halloween…or Christmas!!! Glitter, petals – whatever floats your boat! A little bit of romantic creativity! 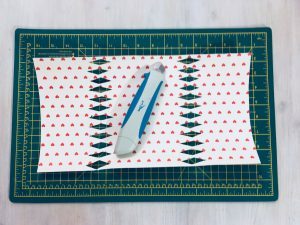 Use either thin card or thick wrapping paper and cut to 36cm x 20cm. 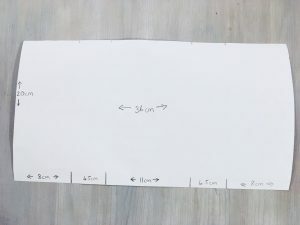 This is obviously just a guide and you can play around with the size if you wish. Using the picture as a guide for measurements, cut two strips of diamonds about a quarter of the way in from each end. It’s easiest to use a knife to cut this, and best to use a chopping board if you don’t have a craft board. 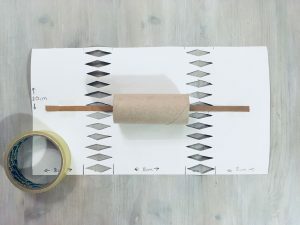 If you are just using wrapping paper, it helps to have a loo roll or kitchen paper tube to keep the central shape. Place your cracker snap inside your tube and stick each end down with tape. Then the fun bit starts. I had some glitter hearts, rose petals and chocolates to put in mine. Depending on your budget, you could go to town and put more exciting gifts like jewellery, cufflinks, even a watch in there though! 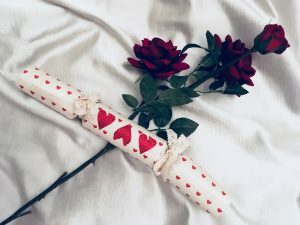 Rather than a joke, I like the idea of having a little romantic message, but you could be more creative with a pledge, gift voucher or lottery ticket! Place all of these into the central section or inside the tube if you’re using one. Roll your cracker shell onto itself and stick together. Use ribbon to tie each end inwards where you cut the diamonds. And that’s how to make crackers for your Valentine! If you want a romantic getaway…at home… check out my style tips on how to get that boutique hotel feel at home. 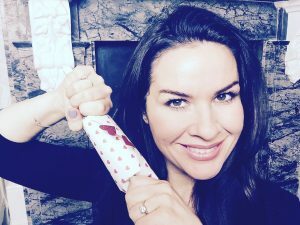 I’d love to hear how you found my guide on how to make crackers, so please do leave comments below. Thats a great step by step guide. I’m thinking I could place a whisky miniature in there for the Christmas table or could place a small candle in the cracker. Ha, I hadn’t thought of those ideas – much better than usual cracker presents!